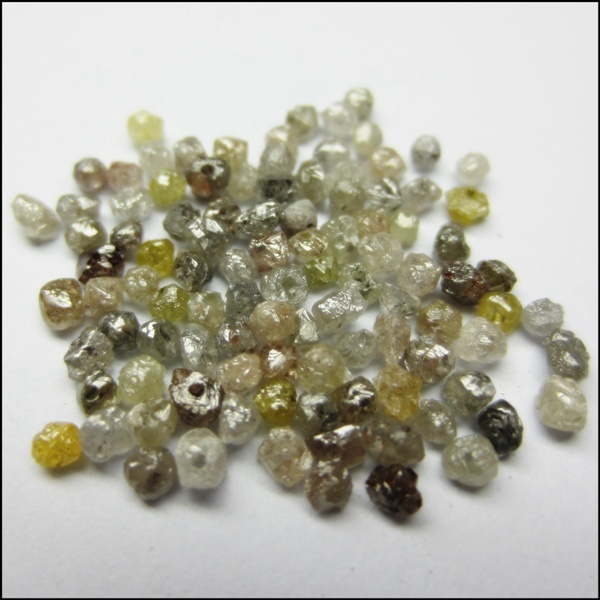 Rough Mix Diamond Beads 1.5 to 3.0 mm Size For Old Jewelry. Surat, Gujarat, 395004, India and work as an CEO at Gemone Diamond. Regular price: 550 200 Gemone Diamond In stock! Order now! 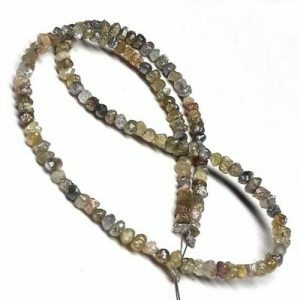 LOT OF 10.00 CT NATURAL MIXED COLOR LOOSE DIAMOND ROUGH BEADS FOR NECKLACE THAT WILL MAKE YOU LOOK REALLY GORGEOUS at wholesale price. Note:100% NATURAL DIAMOND BEADS NECKLACE STRANDS/CHAIN FOR WOMAN/MAN DIRECT FROM BOTTOM MANUFACTURE. WE CAN CUSTOMIZE NECKLACE CARAT & LENGTH AS PER YOUR NEEDS. SKU: GD 363. Categories: Diamond Beads & Strands, Diamonds, Multi Color Uncut Diamond Beads, Uncut Diamond Beads. Tags: 10 Ct Natural Diamond, color beads for jewelry, diamond beads, diamond beads dealer, Diamond wholesaler, mix size diamonds beads, Mixed Color Rough Diamond. 10.00 Carat Rough Mix Diamond Beads jewelry from Gemone Diamonds. 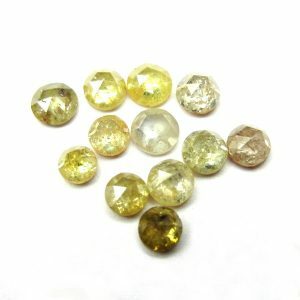 Fancy Color Rough Diamonds drilled beads of size 1.5 to 3.0 mm approximate. This beads Jewelry is 8 inches in length approximate and you can fix it either with gold or silver clasp to wear in your hand. 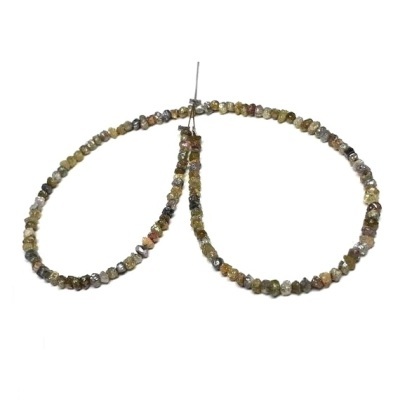 This rough stone shapes uncut beads in multicolor, you can gift this to your loved ones to keep of sprucing up the natural beauty. Are you searching for raw uncut diamond beads in a different color? Then you are at right place, this 1.5 to 3.0 mm Uncut Raw Diamonds is perfect for you. This beads strands, Its looked perfect with multiple pieces of jewelry. What Are Faceted Diamond Beads? 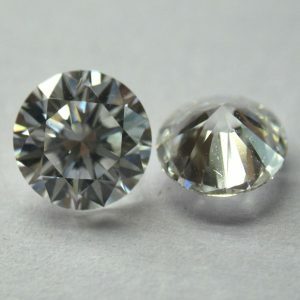 These faceted diamond lot comes with mix color in I3 quality. These diamond beads are approximate of 1.5 to 3.0 mm in size. Where Can You Use These Uncut Diamond Beads? If you are a diamond wholesaler or retailer, then you can use these uncut diamond beads for making custom jewelry. Such as regular wear or most of an actress use these uncut diamond beads on your photo shoot, modeling shoot, award function and for advertising, etc. You have been provided two types of Shipping facility. 2) Speed Shipping - its fast or expedite shipment service by our company available at additional cost. shipment will be send by EMS/UPS/DHL/TNT and likes depending on the country of destination. delivery time will be much faster then free shipping and traceable online. We only accept the Payment via PAYPAL. When you make the payment via PayPal, you are secured under the 100% money back cover. You can pay via any VISA/MASTER Debit/Credit cards by the PayPal payment gateway. Gemma Ingram Love! That's the only word, love love love. I have earrings and a beau.. I did get the stone in about 4 days it looks incredible my jeweler hasn’t appraised it yet but she loves the.. I received the rough diamond stone 14 days after I made the purchase. I am very pleased with service, the ston..
Sarah Styles I am in love with the quality of your black diamonds, thank you so much for the best se..